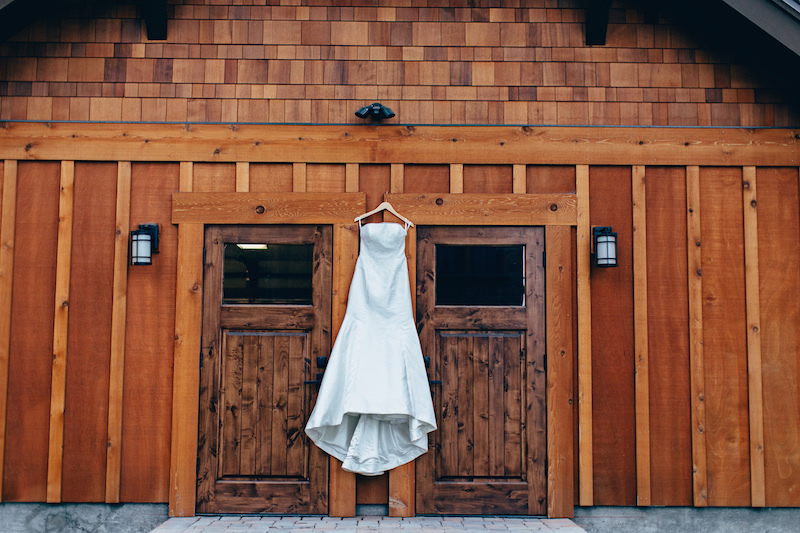 Chelsea was married September 13, 2015 on the lakeside of beautiful Tahoe at West Shore Cafe in Alyne by Rita Vinieres. It was the first dress she tried on during a Rivini trunk show and she fell in love instantly! After 15 other dresses, nothing compared! We asked her if she could share some wedding tips with our brides. Here are some of the tips she had that made her day special! Make sure to take the time to thank people throughout the process (parents, bridesmaids, groomsmen, etc.). They are your support system, they invest a lot of time and money to make your day special. Make sure they know you're grateful! Entertain the idea of doing a first look. Not only was this such a special moment between Anthony and I, but it allowed us to spend more time dancing and mingling later in the evening. Write your own vows if you feel it is right for you. Anthony insisted on it and the ceremony ended up being one of the most special parts of the night. Hearing each other's words was incredible. Take 10 minutes alone as a newly married couple to take it all in. Anthony and I went out to the pier and just took in the whole experience from the first look, the ceremony, the decor, the guests, our family, the dancing and each other - it goes by so fast. I keep telling people there really truly isn’t anything I would change about our wedding day. The most important part of the day was that I was marrying my best friend. Although I couldn’t have been more ecstatic about how the décor came together, my most favorite parts of our day were because of the amazing people surrounding us.